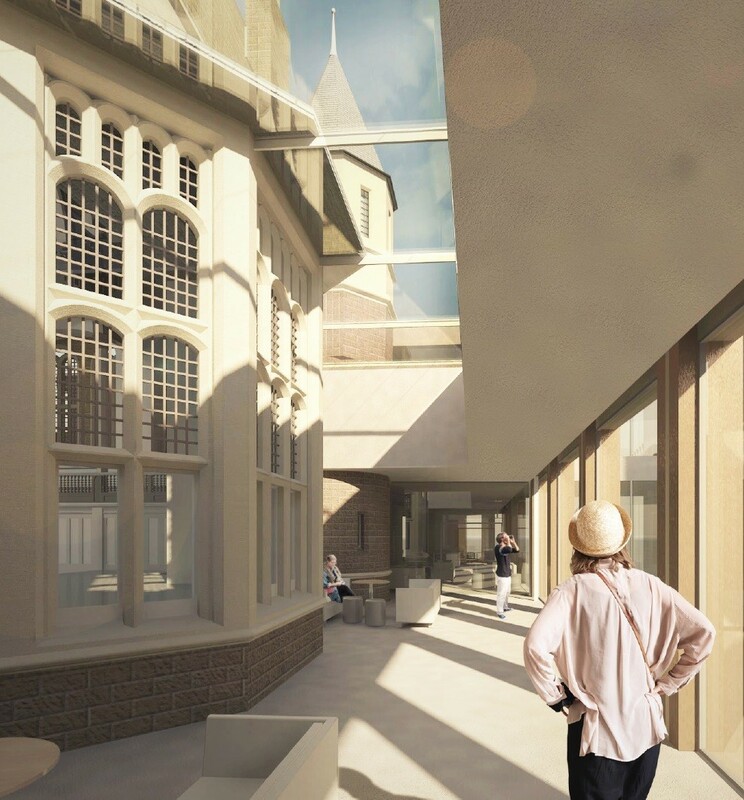 27 Jun – Edinburgh University has unveiled plans for a radical extension to Teviot Row House, billed as the world’s oldest purpose-built student union, under a £75m modernization plan, report urban realm. Occupying a gap site between George and Bristo Square the Student Centre would provide a one-stop shop for university services and student wellbeing; including cafes, foodhalls and a nightclub. Indicative plans by Page\Park Architects were placed on display on 27th June, illustrating how a rear access lane could be reborn as a public square. 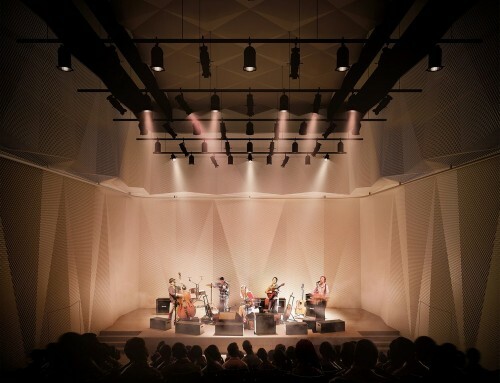 27 Jun – The University of St Andrews has finalised plans for an £8m music centre at Queen’s Terrace designed by architects Flanagan Lawrence. 26 Jun – The Scottish Government has launched a tower block safety review in the wake of the Grenfell Tower blaze in London as part of a wider review of building standards in the wake of the tragedy. UK Tower Block Safety Review. National Museums Scotland is delighted to announce that an exquisite vase from a set of four, designed by the gothic revival architect and designer William Burges (1827-81) for the Summer Smoking Room at Cardiff Castle has been saved for the nation. This cultural treasure had an export bar placed on it and its acquisition ensures that it will remain in the United Kingdom, going on display from Friday,30 June in the Design for Living gallery at the National Museum of Scotland. The acquisition has been made possible with generous funding from the National Heritage Memorial Fund (NHMF) and the NMS Charitable Trust. This important vase was part of Burges’ concept for one of his greatest interiors; the Summer Smoking Room at Cardiff Castle, which was designed and built between 1866 and 1874; the first part of the re-building of the castle for the 3rd Marquess of Bute. Bute was at that time one of the world’s richest men, and Burges’ most important client. A rare example of a free-standing ceramic by Burges, the vase was one of four originally designed for the room. The other three are all in public collections. The partnership between Burges and Lord Bute was one of the most imaginative and creative artist-patron relationships of the 19th century. Both men were fascinated by the art and design of the middle ages and both had a distinct vision of how the period might be translated into domestic interiors for their own time. The double-height Summer Smoking Room is his most imaginative domestic interior now in public ownership and is one of only a handful of interiors he both conceived and completed in every detail, including the furnishings. In each of the four corners of the room are alabaster columns with capitals taking the form of pairs of male and female figures, personifying the winds of ancient antiquity. Each one once supported a vase. The decoration of the vase draws together the interests of both Burges and Lord Bute, incorporating elements of medieval and eastern design both in the shape and in the use of Isnik-style ‘fish scales’ decorating the base. The body of the vase is decorated with motifs that were highly personal to Bute. The inscription, in Burges’ favoured Lombardic script, reads ‘Anno Domini 1874’ at the top, and ‘Johnes Patres, Marcio de Bute’ on the main body. The heraldic decoration of the vase commemorates the Bute family name, Crichton-Stuart, within four shield-like panels. 26 Jun Susan Stephen Architects have brought forward plans to build 24 supported living apartments at West Bowling Green Street, Edinburgh, on behalf of HB Villages. 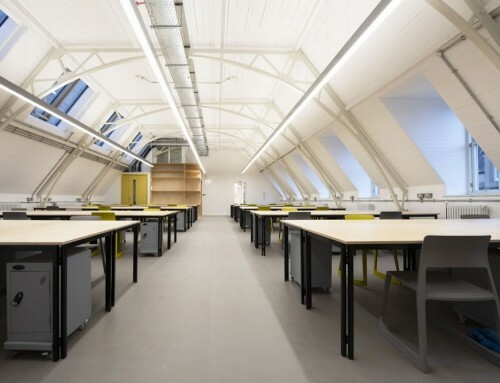 26 Jun – Historic Environment Scotland have unwrapped an £11m building conservation centre at Forthside Way, Stirling. 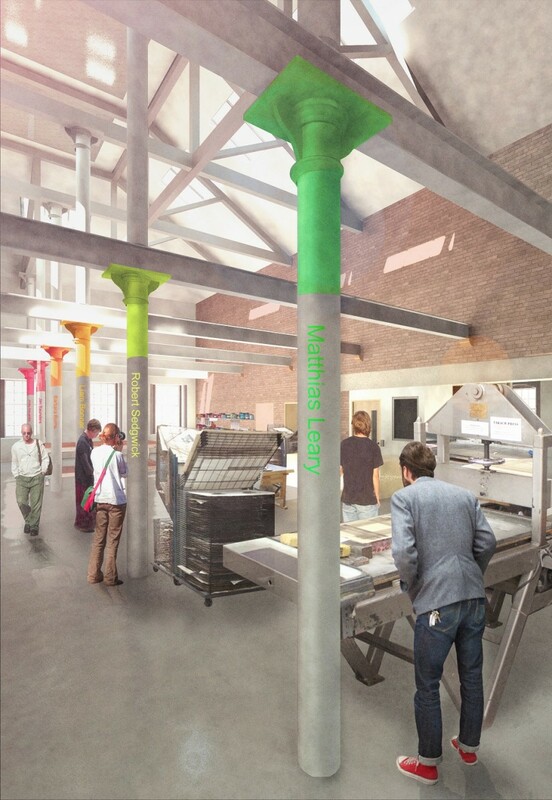 22 Jun – Work has begun on the delivery of a £12.3m centre for printmaking and the creative industry in Edinburgh following conclusion of a successful fundraising drive. Housed within the C-listed former Castle Mill Works Edinburgh Printmakers will see Page\Park overhaul the disused industrial buildings to form galleries, a studio, printmaking workshop and a café, forming a focal point for the burgeoning Fountainbridge district in the process. 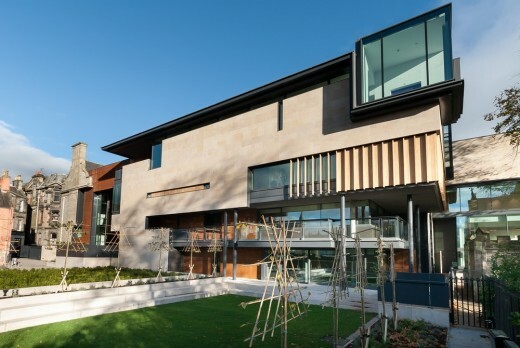 23 Jun – Architects Austin-Smith:Lord were appointed by The Royal College of Surgeons of Edinburgh to refurbish the four upper storeys of their category B listed property at 21 Hill Place in Edinburgh. 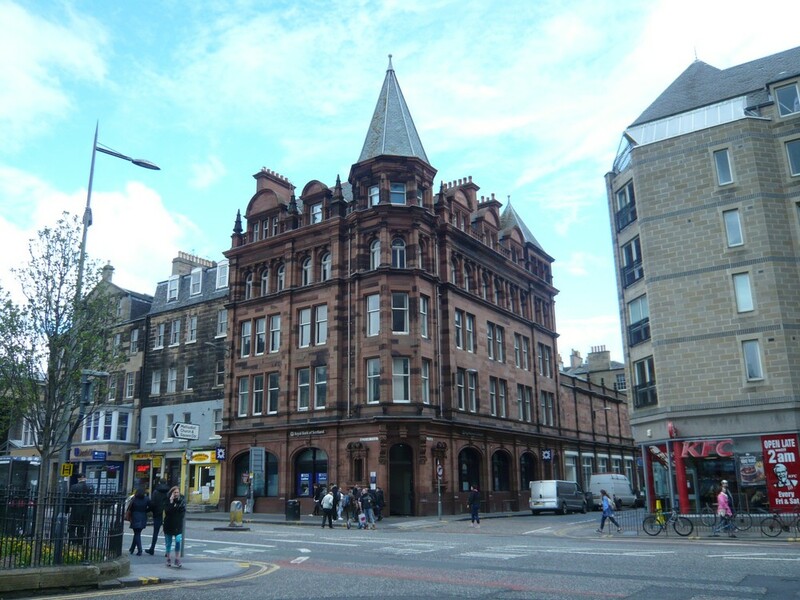 Prominently positioned on the corner of Nicolson Street, facing Nicolson Square, 21 Hill Place is one of the key buildings on this major thoroughfare. 22 Jun – Edinburgh City Council held a public drop-in event on 22 June to build a new Queensferry High School on the site of the existing school’s playing fields – after which the current school will be demolished to make way for a new pitch. The Chartered Institute of Building (CIOB), in light of the report into the defects that led to the closure of 17 schools in Edinburgh earlier this year and subsequent events, announced the formation of a Commission of Past Presidents to investigate the issue of build quality in the construction industry, and what needs to be done to address it. Drum Property Group is unveiling a new vision for one of Glasgow’s most high profile waterfront sites at a public exhibition on Thursday (June 22) – more news on the Glasgow Architecture news page. 20 Jun – The seven diverse proposals from the teams vying to win the Ross Pavilion International Design Competition and revitalise West Princes Street Gardens now go on show to the public. 19 Jun – Planners at Midlothian Council have lent their consent to the expansion Edinburgh Technopole Science Park in Penicuik. This clears the way for construction of three new office and laboratory buildings designed by Edinburgh architects Oberlanders while retaining historic parkland on the site. 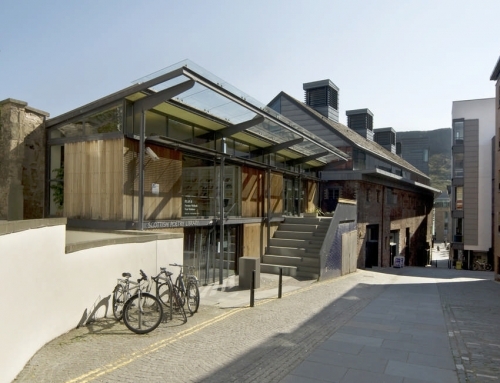 19 Jun – The Scottish Courts and Tribunals Service bring forward revised plans for a new Inverness Justice Centre, building upon the initial concept conceived by Reiach and Hall Architects. 16 Jun – At its Awards Dinner in Edinburgh, The Royal Incorporation of Architects in Scotland (RIAS) announced 12 winners for its 2017 Awards, representing the very best of current Scottish architecture. The judging panel was Ole Wiig FRIAS, Lorraine Landels Hon FRIAS, Stuart McKnight RIAS RIBA (representing the Royal Institute of British Architects) andKaren Anderson FRIAS (Timber Award). At the annual RIAS Awards Dinner in Edinburgh on Wednesday night, the Edinburgh architect Nicholas Groves-Raines was presented with the Lifetime Achievement Award of the Royal Incorporation of Architects in Scotland (RIAS). The Incorporation’s Lifetime Achievement Award is given to those architects who have made an outstanding contribution to architecture in Scotland. 15 Jun – Architects shortlisted designs exhibition for Perth City Hall redevelopment as cultural attraction: Mecanoo, Richard Murphy Architects, Hoskins Architects, Austin Smith Lord and LDN. enabling the public to have their say on initial concept designs. 14 Jun – EWP Investments and EMA architects & masterplanners have brought forward plans for the latest phase of development at Southdale, a mixed-use development to the south of Armadale Station. This will include 270 new homes, 65 of which will be affordable, as well as a pharmacy, post office, dentist, veterinary surgery and coffee shop as well as a potential NHS health centre. 14 Jun – 7N Architects are designing a mahor housing scheme in Leith: 199 homes for mid-market rent on behalf of Link Housing Association on brownfield land at Salamander Place. Delivered in partnership with Cruden Homes and the Teague Group the project is located between Leith Links and the docks, forming part of a wider masterplan which could bring up to 600 homes to the industrial area. 13 Jun – New housing statistics published today show overall housing output in Scotland continuing to flatline with only 88 more homes (one per cent) built in 2016 than the year before. Figures also indicate that things won’t be improving any time soon with a fall in the number of homes (279 / two per cent) being started in the same period. “Whilst the Scottish Government highlights a 29 per cent increase in funding approvals for ‘affordable housing’, allocating grant is very different to actually building homes. “More concerning for the population of Scotland is the big picture in relation to total figures across all tenures for which completions are still over 36 per cent down on 2007 levels and still less than what was built in 2010. “The private sector is the biggest housing contributor overall yet the number of homes being started on site was down eight per cent in 2016, equivalent to over 1000 homes. “With Scottish economic growth predicted to be half that of the UK in 2017, building the homes our country needs could help fill the void that will be left by large, soon to be completed infrastructure projects such as the Queensferry Crossing. “And the rewards on offer are much more wide-ranging than simply fiscal. In addition to skills and jobs, new homes can contribute to improved health and education outcomes for residents. With high levels of insulation, they also help address fuel poverty and climate change. This prestigious, black tie, event, presented by Scottish Television’s Political Editor, Bernard Ponsonby, will include the presentation of this year’s RIAS Awards (which will become the shortlist for Doolan 2017), the announcement of the RIBA Awards for Scotland and the presentation of the Forestry Commission Scotland/Wood for Good, Historic Environment Scotland, Saint-Gobain (Emerging Architect), Scottish Government (Client of the Year) and Zero Waste Scotland special category awards. 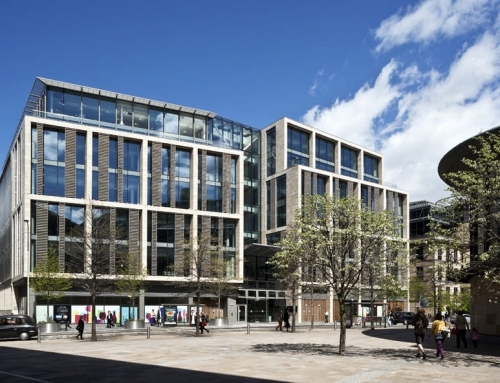 12 Jun – Knight Property Group has awarded ISG an £8m contract to redevelop the former Edinburgh House on St Andrew Square to offer Grade A office space. Edinburgh architects CDA have been appointed for the remodelling, which will see a new floor added to the existing building and a full refurbishment of the levels below. 12 Jun – Developer Places for People has submitted plans to bring forward the next phase of development at Granton Waterfront, report urban realm. The proposals for 89 new homes is the latest phase of a planned wider residential community of around 600 homes on Waterfront Avenue. The latest phase of development, Phase 3, is designed by Reiach and Hall Architects, with a new courtyard, landscaped to provide amenity space and a high quality living environment for the residents. 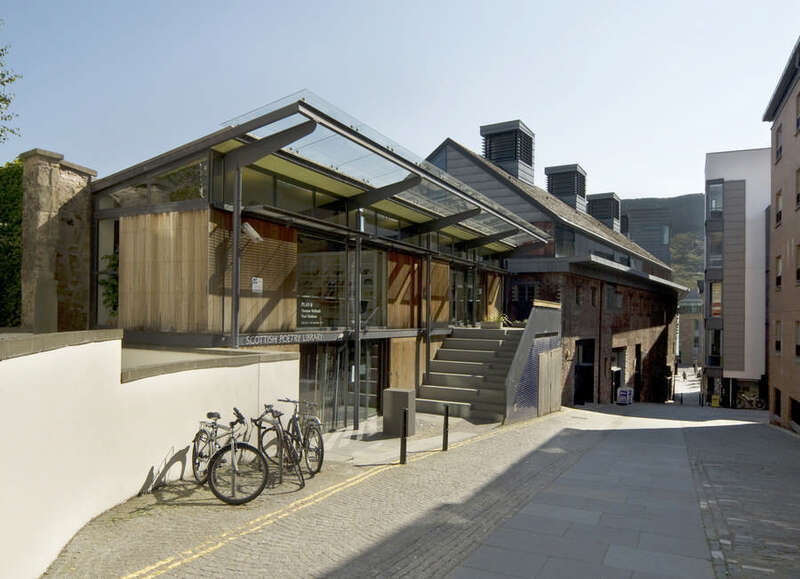 9 Jun – Historic Environment Scotland’s Engine Shed has launched its Advanced Diploma Course in Technical Building Conservation, the first of its kind. The postgraduate level qualification is designed to provide comprehensive training for a new generation of heritage professionals, as well as enhancing expertise and skills of experienced conversation practitioners. 8 Jun – John McAslan + Partners have won a £75m commission to build a new archive facility for the National Galleries of Scotland at Granton, Edinburgh. Located at Madelvic House, a former car factory, the 30,000sq/m National Collections Facility will be built to Passivhaus standards to provide a low-energy home for more than 100,000 exhibits – including art, sculpture, photographs and publications. 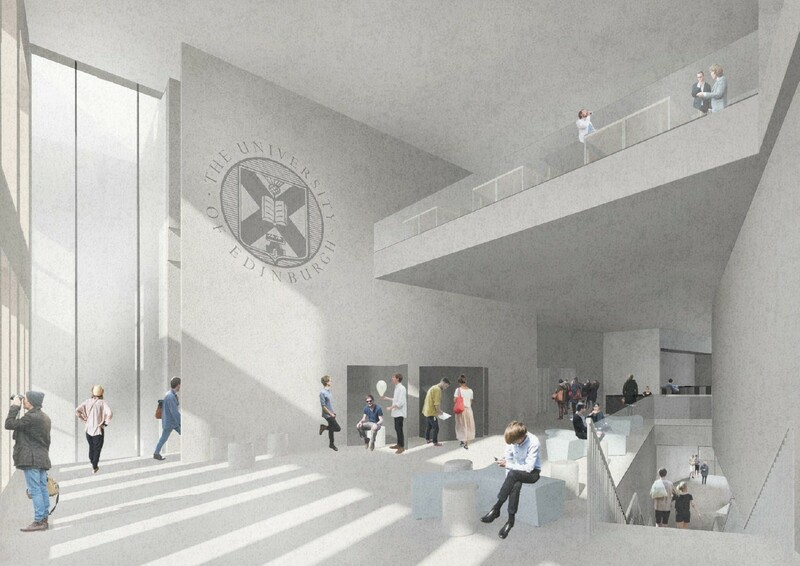 8 Jun – An ambitious extension programme planned for the Scottish National Gallery in Edinburgh has been abandoned after managers admitted that it would cost too much. 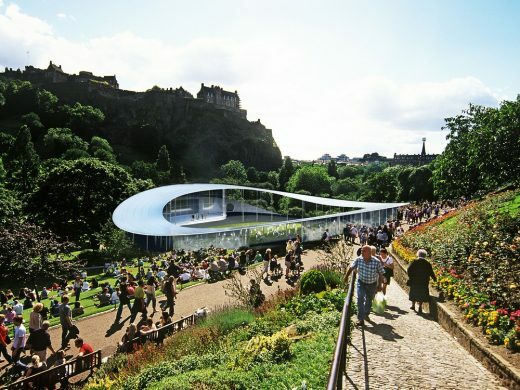 The original proposal would have created a five-metre display space in Princes Street Gardens, but in order to remain within the £16.8 million budget designs have been scaled back. Extending the category A-listed building, which is located in a world heritage site, would prove too complex and costly, Sir John Leighton, director general of National Galleries of Scotland, said. 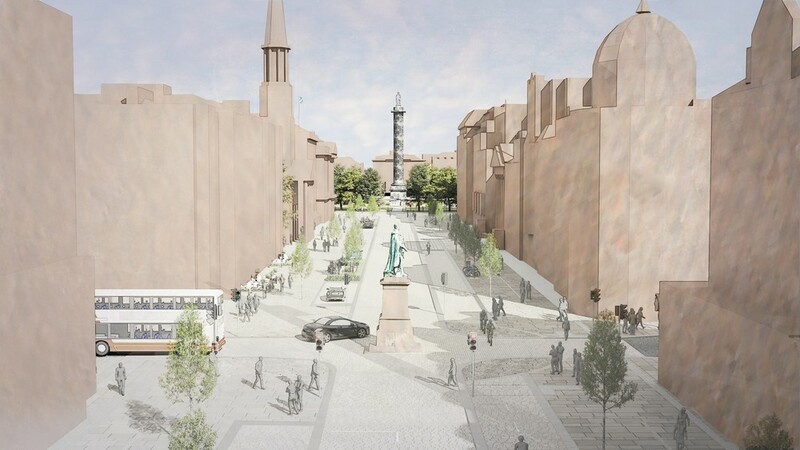 8 Jun – ARPL Architects have won the design competition organized by the Glasgow Institute of Architects to reimagine the historic Midsteeple Quarter in Dumfries. 7 Jun – Land artist Charles Jencks, creator of an arts landscape at Crawick Multiverse in the Borders, is to host architect Daniel Libeskind at Sanquhar town hall on Saturday 24 June where the pair will hold forth over a day long series of talks. Headline act of Cosmic Collisions, Birth, Rebirth and the Universe, an exhibition exploring the nature and origin of the universe, the event will see Libeskind unveil previously unpublished drawings of spiral galaxies – inspiration for the architects £11.5m Ogden Centre for Fundamental Physics in Durham. These will be displayed alongside a selection of paintings drawn by Jencks which visualize the collision and merger of galaxies – a process which spurs the formation of new stars. 6 Jun – CALA Homes have started on site with the new build residential project called The Crescent located within the grounds of Edinburgh’s former Donaldson’s College. 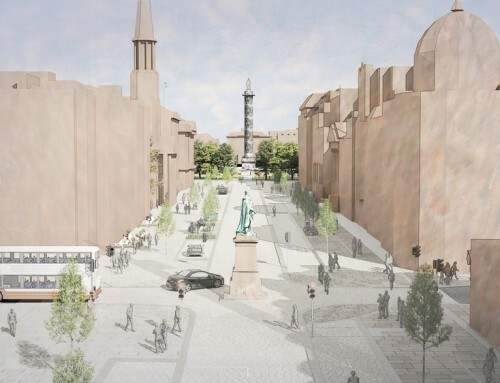 Designs by Richard Murphy Architects call for full restoration of the A-listed Playfair building along with extensive landscaping works including the removal of tones of soil to allow formation of underground parking. 6 Jun – JM Architects have submitted an application for permission in principle for the mixed-use transformation of an electricity substation in Edinburgh’s Exchange district to accommodate 4,500sqm of office space, 550 hotel rooms, retail and leisure uses. The development is for Scottish Power Energy Networks the scheme will constitute three separate buildings stepping up in scale from the Georgian and Victorian tenements through to the Edinburgh Conference Centre. Each of these will rise on top of a central podium on a constricted site which is also bisected by a main line railway tunnel connecting Haymarket with Waverley. Building on an approved masterplan from PLP Architecture in 2010 this will see a row of ornate B-listed Victorian workshops along Dewar Place retained as an active frontage and hotel entrance. Behind this a series of three separate buildings will rise united by a common material and elevation treatment of perforated corten steel panels and a mix of pink, buff and silver sandstone. 6 Jun – The Jonathan Speirs Scholarship Fund supports students of architecture who are interested in developing a career in architectural lighting design. The Trustees of the Jonathan Speirs Scholarship Fund are delighted to announce this year that there are two winners of the 2016/17 award. The recipients are Eleanor Connolly of the Royal College of Art, London and Martyna Marciniak of the Bartlett School of Architecture, University College London. 6 Jun – Building much needed new homes could fill the economic void left by large, soon to be completed infrastructure projects such as the Queensferry Crossing. That is the view of trade body Homes for Scotland as it responded to the EY Scottish ITEM Club Summer Update which predicts growth in the Scottish economy for 2017 to be half that of the UK. “This report emphasises the importance of business and government working together to de-risk investment, build confidence and drive economic growth. “As well as helping to deliver the biggest return in terms of skills, jobs, productivity and the other measures highlighted by the ITEM Club, building the homes of all types that are needed to meet the requirements of our growing population also offers vital social benefits such as improved health and education outcomes. “Whilst we need tens of thousands of new homes, latest figures show that Scotland remains in housing decline with our members telling me that it has never been harder to open new sites and get homes out of the ground. “Research shows that returning to pre-recession levels of building by the end of this Scottish Parliament would alone generate an additional £1.9bn in economic output and 38,000 jobs on an annual basis. 1 Jun – After initial inspections, the cast-iron feature will be removed piece by piece this summer from West Princes Street Gardens before being repaired and returned in Spring 2018. Crafted in Antione Durenne’s foundry in France in the early 1800s, the structure was gifted to the city by local gunsmith Daniel Ross. The year-long restoration project under the Ross Development Trust will see new foundations and waterworks, enabling the fountain to operate for the first time in years. 30 May – Wavegarden Scotland, the company which hopes to develop Scotland’s first artificial wave park, has submitted its planning application today (30 May) after receiving overwhelmingly positive feedback from public consultation events held earlier this year. 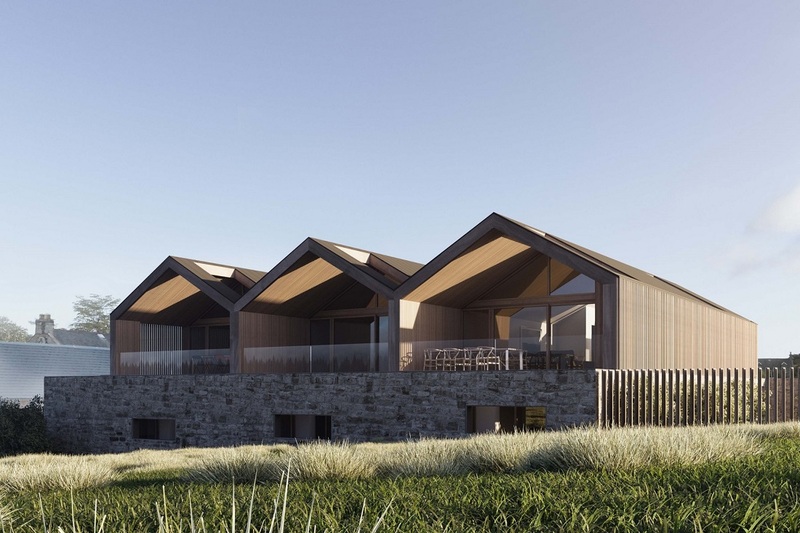 The planning application proposes to redevelop Craigpark Quarry near Ratho, Edinburgh into a word-class surf and leisure facility offering a variety of water sports on its man-made loch. 26 May – Edinburgh’s Smith Scott Mullan Architects have submitted plans for a new fire and rescue training facility at Newbridge, west Edinburgh, following expiry of a previous outline approval for the same site. Located adjacent to an existing fire service HQ within Claylands Road Industrial Estate the facility will rise on an area of scrubland to provide a range of environments to simulate hazards and disaster scenarios. 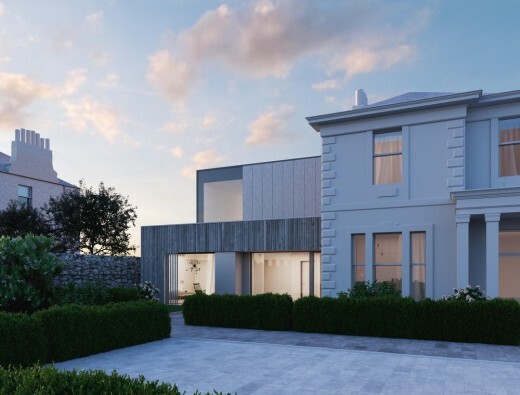 18 May – Glencairn Properties and LBA Architects have secured a prized planning consent to deliver three townhouses overlooking Edinburgh’s Royal Observatory and Liberton Tower at Liberton Brae. 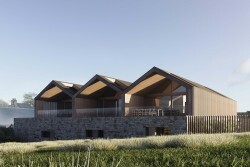 The four-bedroom properties will take the place of a disused agricultural barn within a complex of buildings that include a B-listed 19th century farmhouse, converted in an earlier phase of work. 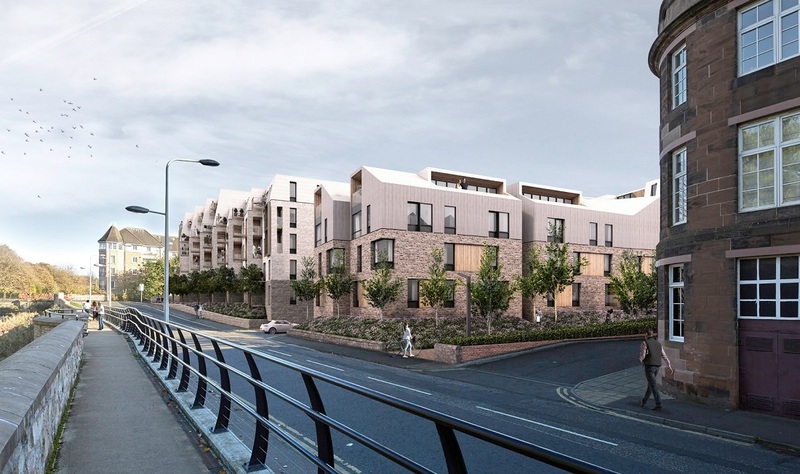 18 May – Sheppard Robson Architects have won planning consent to build 180 flats, maisonettes and town houses on a brownfield site overlooking Edinburgh’s Water of Leith, report urban realm. Canonmills Garden is being driven by Artisan REI to transition from the river to the New Town by way of four separate blocks of accommodation arranged around a garden square. 18 May – Community right to buy policy has been enacted for the first time to allow the transfer of ownership of an urban site following approval of the sale of Edinburgh’s Portobello Old Parish Church and halls to community group Action Porty. Urban Animation are assisting by developing plans for building conversion and extension. 18 May – Hackland + Dore are pushing plans to build eight flats on Edinburgh’s Friggate Street, within the city’s Portobello Conservation Area. A three-storey infill building containing three studio flats and three two bedroom properties in the existing communal courtyard and vennel. 18 May – Here + Now have followed up their pop-up gallery in a disused Edinburgh railway tunnel with plans for a community garden, summer house and artists shelter at Madelvic House in the Granton Park Avenue area of the city, report urban realm. The price of not buying new? It could be as much as £50,000! 15 May – New research carried out by the home building industry has found that the cost of upgrading an older property to the same standard as a new build home could be as much as £50,000. The publication of the data comes at the start of this year’s New Homes Week (15-21 May) which aims to highlight the many benefits for consumers of buying a new build home. From living in an energy efficient home that could save you hundreds of pounds on your utility bills each year, to the brand-new fixtures and fittings that come as standard, buying a new build home offers many advantages when compared to buying an older property. 13 May – Barratt Homes has been crowned trade body Homes for Scotland’s Home Builder of the Year at the organisation’s largest ever ceremony, held in Edinburgh yesterday (12 May 2017) in front of an 1100-strong crowd of senior industry leaders and guests. The awards, which were presented by comedian and actor Tim Vine, recognise the achievements of those involved in delivering the wide range of quality homes Scotland desperately needs, with judging criteria significantly strengthened over the last couple of years to ensure that they remain the most robust and credible within the industry. “With the rigorous judging process which is in place ensuring that Homes for Scotland awards are very much worth winning, I have been delighted to see the quality of entries increase year-on-year. “All of the finalists were strong contenders in their own right and all are therefore extremely worthy of recognition. This was reinforced by the judging process involving site inspections in the development categories, the introduction of interviews in the Supporting Organisation category and the need to demonstrate how the needs of a modern day family are met in the Home of the Year category. 12 May – DeFlat Kleiburg in Amsterdam wins the Mies van der Rohe Awards, a major European architectural prize. The architects are NL Architects and XVW architectuur. Some Scottish comparison on our Glasgow Architecture website news page. The annual RIAS International Convention which takes place from 12 – 13 May in Stirling. International speakers include Petter Bergerud (Fortunen AS), Karen Cook (PLP Architecture), Hugh Dutton Hon FRIAS (Hugh Dutton Associés), Cristina Garcia (Kohn Pedersen Fox Associates), Ellen van Loon (OMA), Ian Ritchie CBE Hon FRIAS (Ian Ritchie Architects) and Sonia Watson (The Stephen Lawrence Trust). 9 May – A disused car showroom off Industry Lane in Leith is set to play host to a 23-home residential development after plans for such were filed by Susan Stephen Architects on behalf of Murapol SA. 9 + 2 May – Trade body Homes for Scotland today announced that current Chair Jim Mather is stepping down from the organisation with effect from its Annual General Meeting on 12 May. With the process of recruiting a successor already underway, Vice Chair (and previous past Chair Doug McLeod (Regional Director, Scotland – Barratt Homes) will act as Chair on an interim basis. 7 May – Aberdeen City Council have finalised a £20m proposal to overhaul Union Terrace Gardens. Part of the city centre masterplan the scheme follows on from a public consultation at the tail end of last year which will see plans drawn up by LDA Design delivered in their proposed form. 5 May – Threesixty Architecture have been appointed for the redevelopment of the old Academy and former Primary School of Stromness. 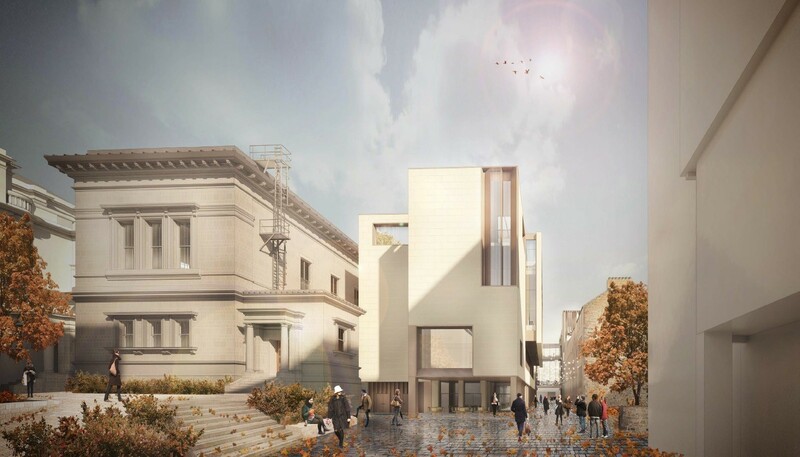 1 May – The University of Edinburgh has filed a change of use and restoration application to extend the A-listed surgical building at the former Edinburgh Royal Infirmary to form a new educational facility and events space, reports urban realm. 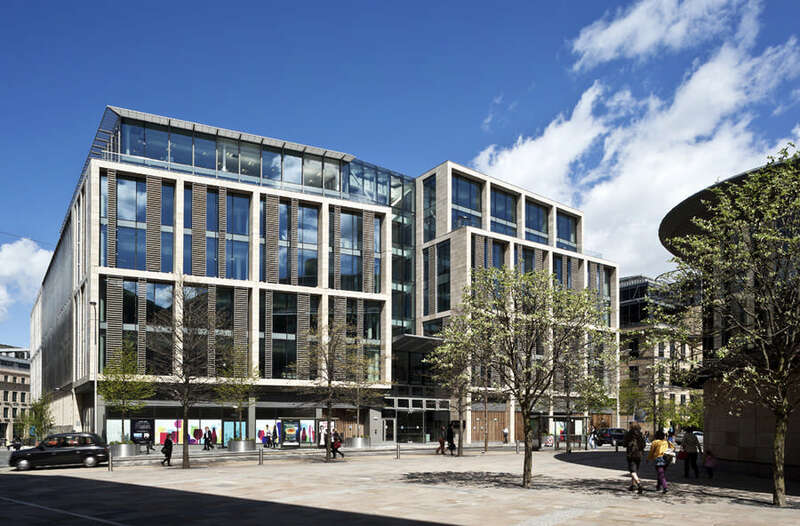 Spearheaded by Bennetts Associates and Faithful & Gould the Quartermile initiative will repurpose the historic building to offer 21,300sq/m of floor space, 6,000sq/m of which will be new build. 26 Apr – City of Edinburgh Council has lent its support to a 1,330 home masterplan for the New Brunstane district of the city spearheaded by the EDI Group. Including 300 affordable homes the scheme will deliver a family-oriented neighbourhood complete with a new primary school and civic centre incorporating retail, commercial and community facilities. 26 Apr – CALA Homes have commenced delivery of 101 new apartments at Mansionhouse Road, Langhside within the grounds of the former Mansionhouse hospital. 26 Apr – Following a £6.5m redevelopment, Scotland’s oldest concert hall and musical instrument museum will reopen to the public this May. 25 Apr – As many households undertook a spring clean over Easter, home improvement figures within Scotland however still decreased in popularity across 2016, the only region or country to do so in Great Britain, falling by 4 per cent. 25 Apr – Speakeasy-style’ bar set for former RBS vault in St Andrew Square The vaults of the former RBS headquarters in St Andrew Square have been bust open after a crack squad performed a ten-day inside job to break into the bank, reports the Edinburgh Evening News. 25 Apr – City of Edinburgh Council has lent its support to a 1,330 home masterplan for the New Brunstane district of the city spearheaded by the EDI Group. Including 300 affordable homes the scheme will deliver a neighbourhood with a new primary school and civic centre incorporating retail, commercial and community facilities. 25 Apr – Danish ballet legend buys historic St Stephen’s Church A DANISH ballet legend has bought a historic church given a new lease of life as a community arts hub and festival venue, reports the Edinburgh Evening News. Peter Schaufuss, founder of the English National Ballet School, has taken over St Stephen’s Church in Stockbridge – three years after it was snapped up by computer games pioneer Leslie Benzies, 46. The International Space Design Award — Idea-Tops and one of the world’s largest architectural websites of UK — e-architect reached a cooperation agreement: e-architect becomes Idea-Tops overseas promotion media partner. Idea-Tops are promoting e-architect’s extensive Architecture Walking Tours network which now covers 80 cities globally with over 140 guides, since starting in Edinburgh back in 2000.
e-architect was founded by architect Adrian Welch who works as a Project Architect and Project Manager at the largest multi-disciplinary practice in the Middle East. As a Team Leader he is responsible for a new town centre of 93,000sqm, and a separate development of two new city centre towers. 23 Apr – Work to deliver the £6m Tillydrone Community Hub for Aberdeen City Council is expected to get underway in August, replacing an existing facility on Hayton Road with an expanded range of services. 21 Apr – We are delighted to announce the forthcoming reopening of St Cecilia’s Hall, Concert Room & Music Museum. 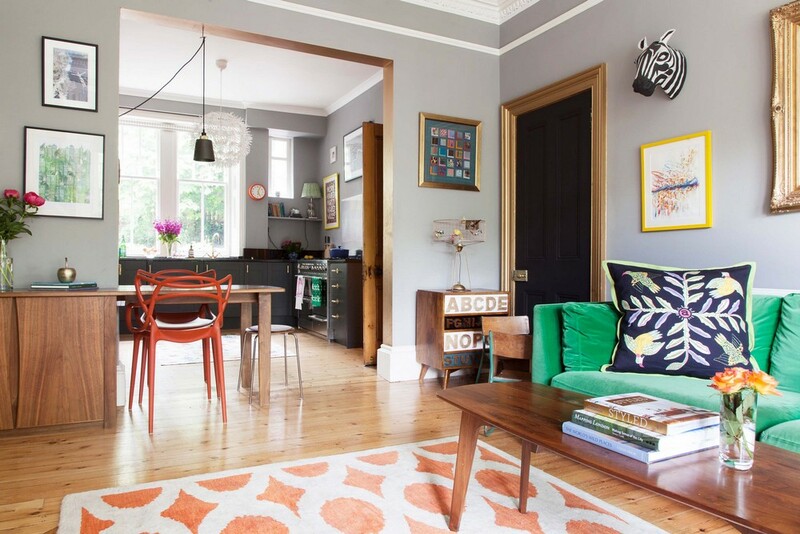 21 Apr – Filled with colour and personality, this beautiful Victorian terrace is bursting with character and style. Emily Murray’s Edinburgh home is a confident mix of colour and pattern and a great example of how to modernise a period home without losing the character of the space. 19 Apr – e-architect attended this event, and posted the results tonight. The EAA Building of the Year Award for 2017 Winner Dunfermline Carnegie Library & Galleries by Richard Murphy Architects. The EAA awards results were announced at a celebratory drinks event at the Edinburgh Centre for Carbon Innovation on Wednesday 19th April 2017 from 6pm-9pm. A record 57 entries were submitted this year and 11 shortlisted projects were visited by the judging panel. 18 Apr – Five of the biggest names in UK architecture are vying for the right to redesign Perth City Hall with the building’s re-opening scheduled for 2021, reports The Courier. Each has a grand vision for redeveloping the building into a cultural attraction capable of bringing visitors to the city from around the world. 14 Apr – The Glasgow School of Art (the GSA) has unveiled details of its plans for the conversion of the former Stow College building today 14 April 2017. The design, by BDP architects, includes refurbishment of the five floors of the original 1930s building, replacement of the current rooftop extension (added in the 1960s) and glazing over the massive interior light wells to form two atria which will offer flexible spaces. See the Glasgow Architecture website’s news page for more. 13 Apr – At least 71 more schools in Scotland were found to have similar defects to Edinburgh schools judged to be unsafe, a BBC investigation has found. Concerns were raised after 17 schools in the capital were shut following a wall collapse at Oxgangs Primary in January 2016. Since then defects have been found at dozens of schools in 15 council areas. While most of the buildings have now been repaired, work on six of them is still to be completed. Ten primaries, five secondaries and two additional support needs schools – all built or refurbished as part of the same PPP scheme – were subsequently shut due to concerns over the standard of construction, affecting about 7,600 pupils. 7 Apr – Trade body Homes for Scotland has submitted its response to the Scottish Government’s proposals on “Places, People and Planning”. “With home builders telling us it has never been harder to open new sites and get much needed homes out of the ground, and having consistently relayed our concerns to the Scottish Government over some time, we are extremely disappointed with the package of proposals in the recent consultation paper. Whilst the words framing the need to deliver more homes are there, the detail required to achieve this is not. “Homes for Scotland has engaged positively throughout the planning review process and we will continue to press for the current system to be tightened up to ensure maximum efforts are made, across all of Scotland’s planning authorities, to focus on policy and practice which actively enables the delivery of new homes. “Despite an improving market, the number of new homes being built is in decline and, as existing sites are completed, home builders are increasingly struggling to secure planning permission for new ones. This situation will only exacerbate Scotland’s chronic housing shortfall, yet the planning review proposals contain no clear and targeted measures to address the real issues with development plans and development management processes. “As we move towards the Planning Bill, due later this year, it is less clear than ever how the Scottish Government intends to find planning system solutions to increase the number of new homes being built. The lecture will include references to the building of Persepolis and its modern restoration, as well as examples of the conservation and restoration of Iranian historic cities and the development challenges at the present. More on our Events page. 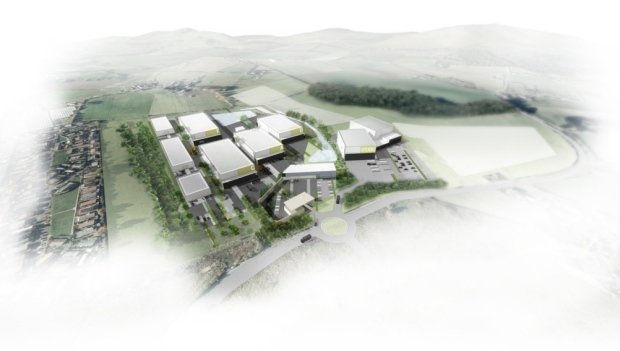 5 + 4 Apr – Further to today’s planning decision by Scottish Ministers, the developers PSL Land Ltd stated they were very pleased with the decision by Ministers to approve the grant of planning permission in principle for Scotland’s world-class Film & TV studio complex, and will be moving forward immediately with the application for planning permission in detail for the Film Studio, Academy and Energy Centre sections of the development. Developers behind an £850m development on the site of the St James shopping centre in Edinburgh are trying to block plans for a new film studio on the outskirts of the capital – amid fears it is a front for a retail development, reports The Scotsman. 3 Apr – East Lothian Council have lent their support to a 1,600-home settlement at Blindwells, near Prestonpans, as part of a landscape-led masterplan which also makes provision for business units, a school and supermarket. The new town at Blindwells was one of our first news items back in 2000, that is how long this project has been rumbling on for. The design is by EMA Architects, a ‘garden city’ with pockets of residential development surrounded by generous open space and woodland planting, allowing direct connections to landscape features and an extensive walking / cycle network. Work could now get underway on the giant scheme early next year with the potential to deliver as many as 3,200 homes by 2022. 3 Apr – There are four vacant places for nationally elected Incorporation Representatives on RIAS Council for the coming session, report the RIAS.